On Wednesday, April 24, 2019, the Municipal Court will be closed for one hour, from 11:30 a.m. to 12:30 p.m., by Order of the Municipal Court Judges. Anyone having business with the Court on this date is asked to come before or after the time the Court is closed. Thank you. There WILL be a jury trial in Chillicothe Municipal Court on TUESDAY, APRIL 23, 2019. Jurors #152 through #197 shall report to the court at 9:00 A.M. All other jurors with a report date of TUESDAY, APRIL 23, 2019, do not need to report and are released from this term of service. The Court is located at 95 East Main Street at the intersection of Main and Mulberry Streets. Please see our Map and Directions Page for more information. There is limited parking in the Court parking lot. Please enter the lot from Mulberry Street. On-street parking is also available on Main Street and Mulberry Street adjacent to the Court. If you have questions, please refer to the Juror FAQ. Each year more than 12,000 people are killed in alcohol impaired driving crashes. 1 alcohol impaired driving fatality occurs every 51 minutes. Text messaging creates a crash risk 23 times worse than driving while not distracted. Ohio law requires drivers to turn on lights whenever windshield wipers are in use. 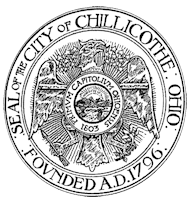 Copyright © 2019 Chillicothe Municipal Court.